August 11, 1980. Time: 1720/ Position: 49.39 degrees N, 60.29 degrees W. Sea level. Banc Beauge, Gulf of Saint Lawrence, Canada. What a couple of days! Last night I went to see The National here in Seattle with my friend Rachel, who is the lead singer’s sister. It truly was a remarkable performance that left me speechless. Then, this morning, I did a video conference on body image and why every body counts with the founder of Every Mother Counts, Christy Turlington, as well as Dr. Jessica Zucer, Jeanne Faulkner and Erin Thornton. It was so inspiring that I wanted to share with you all here. Please continue this dialogue! In case you missed my essay on Every Mother Counts, click here. After that chat, I went to the Snoqualmie Falls. Holy wow! Upon entering Seattle I saw a heart made of flowers, so of course, I had to stop. Definitely one of my #5mostbeautifulthings. Here’s to wishing you all an amazing beauty filled weekend. by Bianca Martorella, life coach. When I first learned about the trip, I was so excited to go. My friend (in order to protect the innocent, let’s just call her …) Sonia, initially told me about the Yoga retreat, led by Jennifer Pastiloff. We had just finished our coaching certification program with IPEC (Institute of Professional Excellence in Coaching) and the timing couldn’t be more perfect. With some initial supportive coaching and a minimal down-payment a day later, I committed. The more I talked about it, one week soon turned into a month away from work and loved ones, as a sabbatical of sorts. In addition to the yoga, I also decided to volunteer at an orphanage. Also referred through friends and with much additional research, I signed up with Volunteering Solutions for a 2 week program in Bali. Fortunately, the timing coincided nicely with the retreat. Planning was easy and therefore meant to be. To give back. This is an obvious one. Life in the big city can get pretty selfish sometimes. I have done some volunteering in the past, but not like this. I always thought about it, but never really had the courage until now. This would be an opportunity to give my full time, attention and focus on to others. Time to not care about myself, what I am wearing, how my hair looks, or if my toes are perfectly pedicured. This would be an opportunity to embrace, support and love others selflessly. To love and nurture. If there is one that I’ve learned over the years is that there are many sources of love that can be experienced and expressed … first and foremost the love that comes from within. I was never really sure if having children was in the cards for me. I have always wanted a family and children to love on, but I’m 36 – rounding the corner to 37 – and up until recently, very single. I do of course believe it’s still possible and I will never give up on wanting a family of my own, however, this is an opportunity to explore the lover and nurturer from within. A chance to embrace that side of me that seldom gets to be expressed in this ‘cut-throat world’. To embrace spirituality. I’m no expert … but from what I know … Bali is dominantly Hindu, and being home to thousands of temples and holy shrines, is a spiritual place. The Balinese embrace tradition, are constantly praying, believe in karma and focus their whole existence on worshiping their ancestors through rituals and offerings. Families stick together through thick and thin – love, support and accept each other. Although I believe in God, I never truly embraced my religion and I want to define for myself what spirituality means to me. I want to embrace the act of prayer and really get what it’s like to give of yourself in blind faith. To heal. There is nothing like a good stretch and some meditation to heal the mind, body and soul. After a few years of some hard running, I realized I needed to take a break. I need a form a exercise that has less impact on the body. Additionally, it’s great to be a able to take time everyday to focus on your health to kick off some new good habits into your daily routine back home. So, there they are … without judgement and without needing to prove anything, those are my reasons. To book a coaching session with Bianca please email binxmarto@yahoo.com. To read her blog click here. Jen’s next week long retreat is in Maui with The Travel Yogi feb 16-22. Assisted by Sommer Dyer, daughter of Wayne Dyer. Click here to book. Sitting outside our private villa in Ulutwatu, the breeze just enough to be deemed perfect, and I wonder if I am really here. I must be. Awan, one of the staff here at Uluwatu Surf Villas, just brought us out our morning eggs (yes, he comes into the villa every morning and prepares us breakfast to our liking.) My eggs a little less runny, Robert gets the toast and the weird flourescent jam. We both drink the coffee, me always going for the second and third cup, my husband always the moderate one, taking one cup and sipping it slowly. I must be here. I can see the ants crawling all over the table. (They don’t bother me.) I see the ocean just past our private little pool (a private pool!). I hear the sound of the waves crashing, one of the rare occasions the ringing in my ears is lessened. I must be here. I must be. So it’s established. Here I am. Is it the being here or the memory of being here that I am after? Is it the having had it happen or the ability to write about it in such a way that I can make you feel as if it happened for you too? Memory is the processes by which information is encoded, stored, and retrieved. I am equally in love with floating in the pool naked, a light rain falling and an almost full moon above as I am with the drinking of a Bintang and the being able to tell you about it in words that will (I hope) last forever, longer than the sea, longer even than me. I know there are different types of people. I get that. The types of people that are so present, who wouldn’t dream of the moment meaning anything than what it was. You’d think I would be that way, being a yoga teacher and everything. I am here. I am. I strive to be present but there is something in me that screams Hey! This is your dharma. You were meant to share this. Who are you to keep this locked in your mind? Go! Go now and write! So I am here, indeed. I am here with every intention to send my experiences out in capsules for you to open and discover what it is you want to share. What it is you want to feel. Where it is you want to go. People often ask me how I have such a steel trap memory. My sister and I both. (Although as I have aged my memory has become less steel-like and more sponge-like.) Here’s the thing: when you lose a parent so young, all you have are your memories of him bringing you home chocolate covered marshmallows and carving magic wands out of sticks and seesaws by the Cooper River Park in the rain. That is all you have so you preserve them and seal them so they can never disintigrate into I don’t remembers. You become an expert memory maker. You have no choice really, because how else could you survive? Your imagination must have someplace to call home. My imagination is calling this home: The rain clicking its heels on the swimming pool here in Bali. The nothing to do-ness that comes with being on vacation and just how inspiring that nothing to do-ness can be. Floating on a surfboard in the Indian Ocean, the red sun a character in your life like an ex-lover or a grandfather with its legendary personality. The twin girls dancing a traditional Balinese dance, moving their fingers precisely, elegantly, in a way my stubby hands could never coordinate themselves to do on their own. Their eyes darting left and right, each sharp movement a story with a beginning, middle and end. The sky opening up and letting in color that no camera can talk about. Not even on a good day. Secret colors and gestures that fall apart when an iPhone tries to lock them in. The happiness here. The happiness here is where I am calling home. It is getting placed next to: my father eating his nightly chocolate ice cream in between two waffles with powdered sugar on top and my summer at Bucknell University churning out poems before bed like they were sleeping pills. I will place it next to my retreat last February in Mexico, the last time I saw my dear friend Steve Bridges before he died and how close our eyes were there, for that long moment above the beach there in Puerta Vallarta as he told me he could never leave the earth before having a family and how we became that family because he did leave the earth. Too suddenly and too soon not a month later and that moment we shared was the best conversation and the most treasured I have ever had with anyone so as I sit here in the rain in Bali I am placing this pool and this palm tree and these offerings for the gods right there next to Steve. My imagination is that large. It can hold it all. That line above makes me feel Walk Whitman-esque: Do I contradict myself? Very well, then I contradict myself, I am large, I contain multitudes. Who can explain why the value of something increases, decreases. Or what we choose to store as memories? Why we fall in love with someone, as quick as the pressing of your face into their shoulder blade as you ride on the back of their motorcycle, the wind slapping you with confirmation- Yes! This is love! Or a moment like the one when you watch them sleep and a surge of protectiveness knocks you awake. You want to make sure they take the next breath, and the next. You want to watch them forever. We never know where we will find our history, where we will discover what has formed us, what we will find in the rice paddies. Exhuming beauty from the soil, excavating remains. The unearthing of things long forgotten. Part of the way memory works is by being able to locate it and return it to our consciousness. How can we do that if we haven’t saved it? What are your ways of saving it? What are you saving? This is an important question. Think hard before you respond. What are you storing up in there? I hope it isn’t traffic jams and being pissed off and upset and gossip although, hey, I am not perfect and I have some of that up there. I am making room though. I am pushing it aside and making room for this watermelon and these flowers and my husband at Padang Padang Beach in Bali and what it feels like to have achieved a dream like this. It feels like a sigh. It feels like a dropping the shoulders down away from the ears and returning as well as a departure. It feels like a bumpy car ride along Balinese country-side and it also feels like my sofa at home with a glass of wine in my hand. It feels like all of me and also a part I have yet to know. Or rather, yet to remember. Because it has always been there, hasn’t it? It has always been there next to my father and my grandmother and my little 3 year old nephew showing me how he “drops in” on the skateboard ramp and all the other memories I have sought out to bring back into consciousness, it has always been there but like the red sun I had just thought it was a myth. I did not believe it until I saw it and felt it and reached up into the sky to call it mine before sending it back into the world. Isn’t that what I am searching for? What we all are searching for? To love in time? Isn’t that what we are all looking for? Under all the layers of hard rock and hurt and in between the rain and the spurts of sun across Southeast Asia or Southern California or Santa Fe? Just past the temples, past the shore, past the man washing his chicken in a dirty creek as he gets it ready for the fight. Isn’t this the great journey, this pilgrimage to love, to not running out of time, to dying with a heart empty of misgivings and misunderstandings rather than a heart full of I am sorries and I wish I did it better? Here I am in Bali. My Manifestation Retreat in Ubud has ended. A sold-out retreat with all women (minus my husband who gave us the room to create the sisterhood we needed.) The retreat was very much a retreat toward love. One of the definitions of retreat according to the dictionary is: an act or process of withdrawing especially from what is difficult, dangerous, or disagreeable. And that is just what we did. We withdrew from the comparisons and the judgements and the traffic and the old beliefs and the children and the cooking and the phone calls and the heartache and the sameness of daily life. We withdrew towards our center. Our mantra: May I always be this happy, May I always be this free. At least for this moment. And then this one. And this one. All of it in moments. Moments experienced with a presence that could be likened to an offering. Here: Here I am, offering you my undivided attention and acceptance. This is my offering. There is nothing in my way. There is no past, no sickness, no going back to work, no dreading the plane ride back, no discomfort. There is just this. This perfect morsel in time. And I am here. Fully. This past week we retreated towards our center and as the sun rose in the morning and we looked out towards the temple and the men in the fields and the ducks waddling all along in a row like a cliche, our hearts knew what they have known all along: That this is what love feels like. This is what it is all for. To know a beauty so precise that it aches in the place where pain has lived and also heartache, loss. This ache is more of a returning, a piece of ourselves we thought we may have lost along the way is slid back into itself without any kind of hassle or confusion. An offering. The term achingly beautiful finally and rightfully understood. And yes, it is felt in the same place. The heart doesn’t know any different, it just knows to feel. If we let it. This past week was a letting. Take this offering and feel it. Tie yourself in knots and the undoing is a retreat, a coming home. We all want to love in time. To think we could possibly run out of time is what causes traffic and wars and broken hearts. The actual running out of time is less common but it does happen. We can die without fully loving the things right in front of us and inside of us. We can let that happen. When I asked what everyone was manifesting many of the women said vulnerablity. It came up a lot during the week in journaling and class themes and throughout our visits to the temple. My heart should be this vulnerable, this open, so I may feel this beauty inside of me as I feel my own breath breaking the air above me as I snorkel with the most colorful fish I have ever seen and may I know this beauty in the way I have known other facts about myself, like I am this or I am that. This beauty is the knowable part of me just as any other. But to feel this beauty, to really see it as it is means I must be vulnerable to the pain as well. Here is the sunrise with the knowing that the sun will indeed set, the sky will open at some point today and the rain will come down without explanation, the flowers will die, but that to miss it while it is right there in front of us means we are not accepting the offering. We are not accepting what has been inside of us all along, no matter how dormant or inactive. In Bali, they give offerings to the gods three times a day. It is their daily ritual to give back what the gods have given them. They do not take this lightly, it is a duty and an honor at the same time. Why should we not have the same system? I will take the love offered to me. I will take this gorgeous spicy food and the flowers left on beds and towels and the lily pads and the terraced rice fields and the silent Thank You from the toothless woman washing her clothes in the stream and the not so silent Thank You from the thunder. I will take the I love you as fact and the I believe in you as a Go signal. I will then offer back my heart since it is mine to give away. I will offer my support and my mistakes and what I have seen here and what I know to be possible and the smiles the Balinese wear which you might think to be myth and which I can assure you is not. I will offer back my words and my imagination and describe to you in the best detail I can just what I saw and how in the healing waters at Tirta Empul I prayed for my nephew and my dead father, and how my friend, just before she ducked her head under a spigot said And this one is for me and how I held her back as her shoulders shook under her sarong, under her sobbing. I will offer them all to you without holding back at all so you believe me when I tell you that there is time. You will believe me when I tell you that if you let yourself be the beauty and never stop seeing the beauty, no matter if you are in Bali or traffic or a yoga class, that you will never run out of time. That although your father will still have died and you cannot take back what you said, that although you will still have had your heart broken or gotten hurt, the offering is this: You. You are the offering. We must place the beauty in our hearts right there next to loss and pain and whatever else is we have in there and we must pass it on. We must love like the Balinese do. Shamelessly and fully without any but this might not last. With acceptance and duty and honor and grace. When Agung, our beloved driver and host brought us to his home for dinner and so his twin 11 year old daughters could do a traditional Balinese dance for us, he spoke of his son. With a huge smile he said his son was artistic. So proud he was. We then realized he was saying “autistic.” His son came out and said hello to us, and Agung hugged him close and with a pride I am not sure I have ever seen as he introduced his whole family. They all live together in the compound with his father-in-law (it was his wife’s home first, a rare thing in Balinese culture.) A lot of the girls on the retreat cried, as I did, not because it was a sad thing, but because the love that came from them, that little clan standing there in front a of a bird cage, was more perfect than anything I’d seen. With its lack of judgement and story and shame it was a divine moment in time and we all felt blessed to witness it and we all made a mental note to love more like they loved. To be happy in the way they were even though a few of them shared a bed and the son was autistic and they had never left the island of Bali. And so what? What did they know besides love? No, they aren’t perfect. But they were loving in time. May we all love in time. With love from Uluwatu, Bali xo jen ps, I am doing Tuscany next rather than Bali. If you visit Bali you must see Ugung’s daughters dancing! 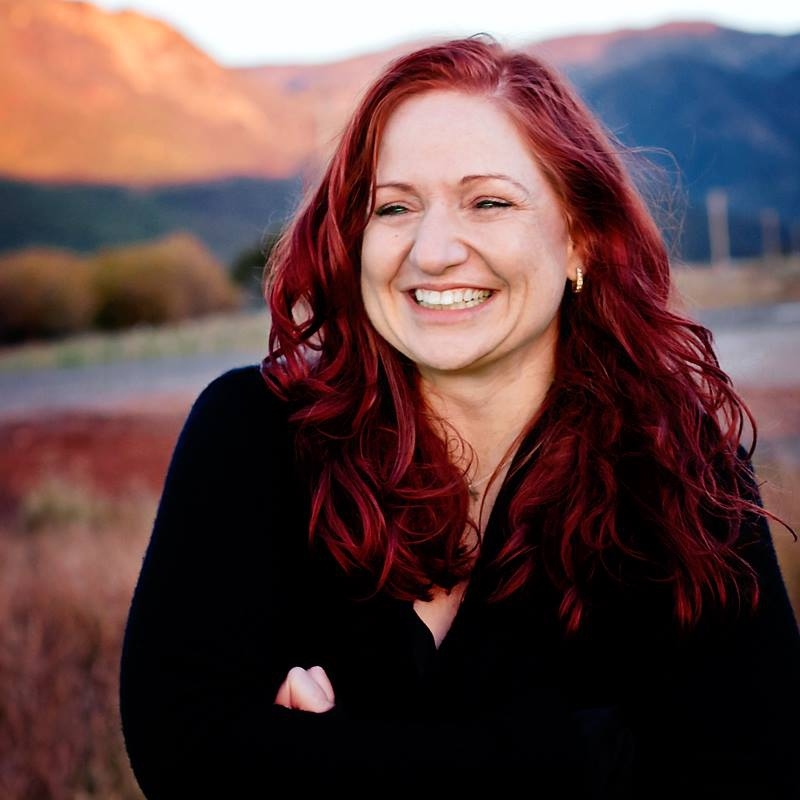 All of Jen Pastiloff’s events/retreats/workshops listed here. 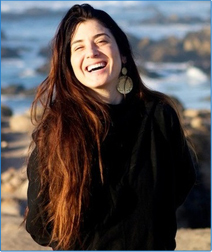 Join Jen Pastiloff at a writing retreat in Mexico this May! All of Jen Pastiloff’s events listed here. ~ Guest Post by Caspar Poyck C. Ht. One of my very dearest friends in the whole world; Jennifer Pastiloff is in Italy for another one of her amazing Manifestation Yoga Retreats. Before her travels started she wrote a blog about kindness that inspired me to write this. I love exploring and traveling into hearts, minds and into life itself. When I came to the U.S. from The Netherlands at age 21, I took trains and busses and hitch-hiked to California from New York without much of a plan. From 2003-2005 I traveled a big part of our physical world and have gone on many 1-3 month trips before and since. On these trips through Central America, Africa, Asia, the Middle East and Europe there have been many moments with people who picked me up and gave me rides. New friends who showed me secret spots, who translated for me and had conversations in hand-signals and facial expressions. People took me in for lodging and for food. These “strangers” showed me “their world”, I was wide-eyed and grateful, at times we sang and we danced together. Kindness was always there in abundance ! When traveling, my eyes and ears, my mind and heart are wide open to experiencing the world and the people around me. I expect nothing yet I expect everything ! High expectation to have great experiences, yet no expectation as to what they should be has me say “yes” to almost everything. This creates potential and manifestation; this creates pleasure and learning. Our mind has an amazing filter: our senses take in more than we can consciously process so only small amounts of what “the system” perceives comes into our awareness. HOW this filter is set up is how we see our world! The world is a reflection of ourselves. Remember when you bought your most recent car? Remember how in the first few weeks you saw that same model everywhere? There weren’t more of them on the road; your filter was just tuned into seeing them more. Are you a parent ? Do you remember how when you or your spouse were pregnant it seemed like everywhere you looked there were pregnant women? Same thing. This is what happens on a trip. The filter is set-up to see the new, the good, the beautiful, the playful, the interesting, the delicious and the kind. Thus we see and experience them more. I can bring this into my day-to-day life as well. The place I call home is a destination that many people dream of one day visiting on their “vacation of a lifetime” ! I LIVE IN A PLACE I COULD EXPERIENCE AS A TRAVEL DESTINATION if I set up my filter to look at it that way! When I choose to I look at the things around me with (literally) wide eyes and feel a sense of wonder. I check out buildings, people and their body-language, trees and flowers, etc., and I remember when I just got here and the city was new and how it filled me with interest, hope, excitement and joy. I can experience that kindness here at home as well ! One of the ways it came to me this week was in the form of the stranger who gave me a $20 bill so my daughter could camp next to hers. (I erroneously thought my back-country pass covered that campground and appropriately they don’t “take plastic” in the woods). We can’t all be in Italy with Jennifer this week, but WE CAN choose how we filter the vacation destination we live in. Meditation, prayer and affirmations are all exercises to entrain our conscious mind to perceive the world as it’s best for us. Make this playful “Traveler of Here Meditation” your practice of the week. Spend 10 minutes every morning looking at things around you as if you’re a child, as if you’re on vacation, as if it’s all new to you. Look at the world with your eyes a little strained open and your brow pulled up. Do it with a smile on your face. See new things and things anew. Have you seen the frescoes at the top of the buildings downtown ? How about the way that biker is humming to himself as he zips by ? The woman’s original shoes in line at Peet’s Coffee ? Feel like a traveler while you’re here; in a greater spiritual sense you already are anyway. Feel the pleasure and gratitude of knowing that wherever your home is, if you didn’t already live there you would be the traveler there right now! To the people around you, you are the kind stranger I ran into so many times all over the world. We are the same people ! Tomorrow I will smile at people as a kind stranger on my travels and will look at my world again as the “traveler of here.” Meet me on the road ! Let’s tell stories, eat a meal together and look at our world in wonderment. To Jennifer, my sister: have an amazing trip, take it all in with wide eyes and share in the kindness as you always do. The above post was written while I was in Italy last week leading my retreat. As many of you know I got very very ill and my internet service was spotty but this delicious post was worth the wait. Caspar and I will be together again hosting a retreat Oct 19-21, 2012 in Ojai, California. You can even take a cooking class with him. Click here to sign up. To live your happiest life, you gotta have a sense of humor, especially when it comes to YOU. My friend Karen Salmansohn made this amazing poster from one of my Italy retreat pictures. Karen and I will be hosting a retreat together in 2013!! Stay tuned for details! Confession: I am having the blahs. I am back from my the retreat I led in Tuscany and my post-retreat vacation in Paris, with an empty feeling like I came back a shell, having left the meat of me somewhere in Monteriggioni, inside the walled city, perhaps eating gelatto or maybe in a field of sunflowers as the light splays down on them in such a way that my eyes burn, not so much with pain, but with an overwhelming sense of wonder. One of the things I asked my retreat attendees (a fantastic group that I am still pinching myself over) was to carry their journals around them with during the day, whether they were in Siena eating a slice of pizza or in Florence with the ghosts of Ponte Vecchio, long dead but still floating around with their gold and jewels somewhere just above the ether. I asked them to carry their Awe and Wonder Journals and jot down every singe thing that cause them to feel awe or wonder. Whether it was a conversation with someone who didn’t speak a word of English or the way the Tuscan hills looked at 9:30 at night as the sun was going to bed or a piece of Pecorino cheese and the way it lingered in the mouth waiting for the perfect splash of chianti to join it before descending. It didn’t matter how big or small the things were that they were jotting down. What mattered is that they were paying attention. To the things that made them feel alive, to the things that made them stop and say Wow. I wonder how many things we miss because we feel we have seen it before or simply because we are looking at the wrong things to wake us up. I want more things to stop me in my tracks. I want more things to make me ask questions. I want more things to make me feel connected to something bigger than myself, longer standing than myself, and way beyond what I can ever understand. Those type of things. Whether it is a a piece of pizza in Rome or a moody sky in Paris. Whether it is the high ceilings at the Ebbio and how they have been there for 800 years or the way the olive oil tasted and how time seems slower there as if it has nowhere to be. So I asked them to be filled with awe and wonder and to bring their journals around so they wouldn’t forget. It’s easy to forget. Or to not look in the first place. One of my favorite Mary Oliver poems (you know my obsession with her) in The Mockingbirds. Their willingness to be attentive! That’s it, right there. Are you willing to be attentive? To allow yourself more moments of awe and wonder and inspiration and grace? I came back and feel empty because in some way I believe that is only possible when I am away. That when I am back here, in my normal life, in the real world, I must go back to feeling like the same old me. Sure, my retreat was a cocoon of love and safety. I got terribly ill, sicker than I can remember being, and despite that, I felt safe and free and happy. I want that back, yes. Sure, the food tasted different and the sky lingered longer than it does here and I didn’t have to deal with emails and bills and traffic and making breakfast and Facebook. But what I realized there in Tuscany and Paris, and now in hindsight, sitting here with my too strong coffee and feeling nostalgia, as I am prone to feel (is it any wonder I love Facebook?) is that: I can be Italy anywhere. I can be Paris anywhere. What I mean is: I do not have to escape to feel alive. I do not have to get away to remember the beauty around me or inside of me, to pick up small tokens of beauty wherever I am, on the sidewalk or in a conversation. I simply have to allow it. I simply have to take out and Awe and Wonder Journal and pay attention. No I won’t have the same treasures here. I won’t be able to duck into a Parisian cafe in the rain and snap photos of the macarons or take the train and watch buildings speak their stories of defense and heartbreak and disintegration from centuries or eat Brie and actually enjoy it because it does taste different in France and the wine in Italy. The wine in Italy is it’s own treasure. But, I brought 25 people with me to Italy. I got sicker than I have ever been and they stood by me and not for one moment let me feel as if I was letting them down, or they were disappointed or this was anything other than exactly what they dreamed of. I did that. I attracted 25 people who got along perfectly as if they chose each other, who laughed together in Italian cities, who stayed up late and painted fingernails and drank Limoncello and wrote in their journals what they would do if they weren’t afraid, who swam in the Mediterranean and then had a picnic with tomatoes and cheese and hard boiled eggs and ate it happily with their hands. There were no cliques, there was no negativity, there was no complaining. I brought these people with me. From here. So, if that is the case, it would make sense to say that I could bring them anywhere. I could have the same experience here in Santa Monica or in New York City or Mexico or my sofa. It wouldn’t matter. All I have to do is keep being who I am and the right people will show up. **Click here to see some amazing shots on my site of my amazing retreat.